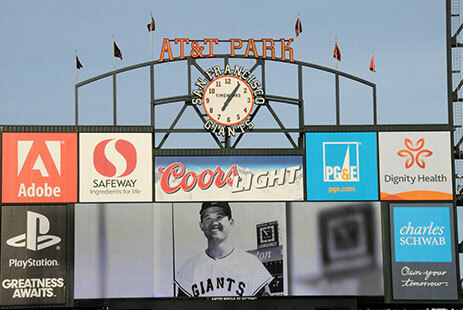 The San Francisco Giants celebrate the 50th anniversary of the first Japanese Major Leaguer, Masanori “Mashi” Murakami, a pitcher for the 1964-65 Giants. Yuriko Gamo Romer is an award-winning director based in San Francisco. She holds a Master’s degree in documentary filmmaking from Stanford University and is a Student Academy Award winner, National Academy of Television Arts and Sciences Scholar, and American Association of Japanese University Women Scholar. Her current documentary project DIAMOND DIPLOMACY, explores the relationship between the United States and Japan through a shared love of baseball. She directed and produced MRS JUDO: Be Strong, Be Gentle, Be Beautiful the only biographical documentary about Keiko Fukuda (1913-2013), the first woman to attain the 10th degree black belt in judo. MRS JUDO has traveled to more than 25 film festivals internationally and was awarded the Grand Jury Award for Best Documentary at the 2013 International Festival of Sport Films in Moscow and broadcast on PBS nationally as part of CAAM’s Japanese American Lives 2014. Additionally, her film Occidental Encounters won numerous awards, among them a Student Academy Award Gold Medal; Heartland FF’s Jimmy Stewart Memorial Crystal Heart Award; and National Media Network’s Silver Apple. Romer’s short films include Reflection, Kids will be Kids, Sunnyside of the Slope, Fusion and Friend Ships, a short historical animation about John Manjiro, the inadvertent Japanese immigrant rescued by an American whaling captain. Marc Smolowitz is a multi-award winning director, producer and executive producer with 20+ years of experience across all aspects of the entertainment and media business. His career focus has been powerful social issue filmmaking across all genres which have been seen at Sundance, Berlinale, AFI Docs, IDFA, Tokyo, Melbourne, among others – and been released worldwide theatrically, across all forms of television, and on VOD/Digital. Select titles including: Black Is Blue (2014), Heaven Adores You (2014), Havana Curveball (2014), The Campaign (2013), Keep The Promise: The Global Fight Against AIDS, narrated by Margaret Cho (2013), The Power Of Two (2011), Still Around (2011), The Weather Underground (2003), Trembling Before G-d (2001). He was also the Producer at TellyTopia, a Silicon Valley start up specializing in interactive television, IP-TV and VOD products for cable & satellite companies and the President & Founder of Turbulent Arts — a boutique, indie film distribution and sales company based in San Francisco. Today, he works full-time as an independent filmmaker, while maintaining a thriving consulting practice called 13th Gen that guides filmmakers through key stages of development, production, and distribution. 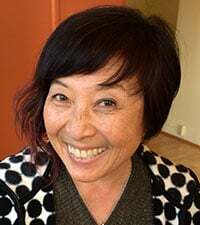 Jill Shiraki serves as a Japanese American content consultant, educational consultant, and writer and producer for distribution and community outreach/engagement on DIAMOND DIPLOMACY. She has been working with the non-profit community over the past 20 years in the areas of cultural preservation, literary and visual arts programs, community outreach, and development. She serves as community liaison for Asian American community arts organizations, and connects people and culture through stories. Her projects include: Preserving California’s Japantowns, a statewide effort to document and preserve historic resources from pre-World War II Japanese American communities; Collecting Nisei Stories, an online collection on the Japanese American experience; When Dreams Are Interrupted, a site-specific multi-disciplinary performance produced by Purple Moon Dance Project, and Suite J-Town, a multidisciplinary intercultural performance at multiple sites produced by First Voice. Shiraki develops public programs for the Dilena Takeyama Center for the Study of Japan and Japanese Culture at San Francisco State University and Nichi Bei Foundation. Film projects include: MRS JUDO; The Power Of Two; and Blossoms and Thorns. Shiraki was Director of Programs for the Japanese Cultural and Community Center of Northern California. Rob Fitts is the primary historical research consultant for DIAMOND DIPLOMACY. Fitts left academics behind (Former Archeologist, Brown University) to follow his passion — Japanese baseball. His articles have appeared in numerous magazines, including Nine, the Baseball Research Journal, the National Pastime, Sports Collectors Digest, and on MLB.com. Fitts is the author of four books on Japanese baseball. His latest Mashi: The Unfulfilled Baseball Dreams of Masanori Murakami, the First Japanese Major Leaguer, will be published by the University of Nebraska Press 2015; Banzai Babe Ruth (University of Nebraska Press, 2012), won the Society of American Baseball Research’s (SABR) Seymour Medal for Best Baseball Book of 2012, was a finalist for the 2012 Casey Award, and won a silver medal at the Independent Publisher Book Awards. Earlier books include Wally Yonamine: The Man Who Changed Japanese Baseball (University of Nebraska Press, 2008) and Remembering Japanese Baseball: An Oral History of the Game (Southern Illinois University Press, 2005), which won The Sporting News- Society of American Baseball Research 2005 Award for Baseball Research.